Thanks for the great photo, Jeff Dean (who also took the photo on our debut EP)! See a video clip from our performance that day here (we are at 4:34). You can also watch more videos and see the full gallery of photos from this year’s Palo Alto World Music Day here. Looking forward to next year – June 15, 2014! 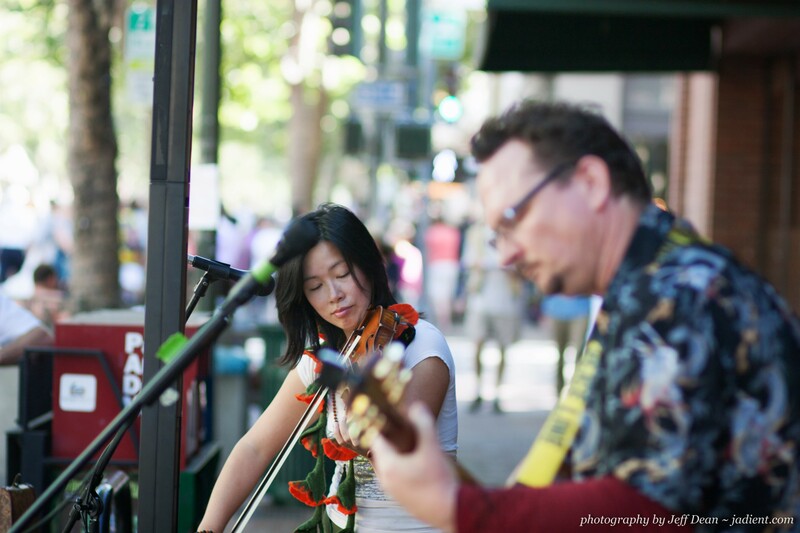 Tags: palo alto world music day. Bookmark the permalink. Previous post ← Just added – New Leaf Market Wine Tasting THIS Friday!